Kitchen vent cleaning is an often-overlooked area of maintenance in a kitchen, but failure to keep your vent clean can result in a grease fire. Over time, the exhaust fan, vent pipe, and vent hood can all become coated in grease. Vent hood cleaning should be left to the professionals, and we can provide a free audit to help you make sure your vent hood is in good condition and help reduce the risk of a kitchen fire. It is important to clean vent hoods regularly, and we can help you establish a cleaning schedule to keep your vent hoods clean and well maintained. 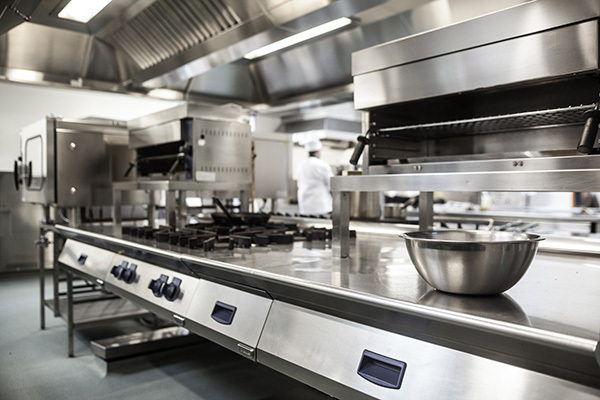 We are certified to clean kitchen exhaust systems through PAC Kitchen Exhaust Certification. We have the right training, education, and equipment to ensure your kitchen’s vent hood and duct is clean and safe. Remove containment and dispose of plastic. What Parts of the system are NOT cleaned? We do not clean the filters themselves. These should be done on a more regular basis normally by the kitchen staff. 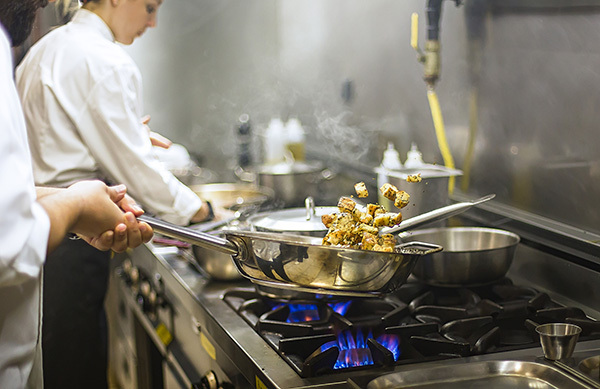 Outside of the vent hood – A lot of restaurants use the outside of the hood to hang paperwork, menus or cooking utensils. When you choose Courtesy Care, you can rest assured that you are getting the best service from a certified professional. A lot of vent hood companies just clean the fan bowl and the vent hood, leaving the fan blades and ductwork greasy and covered in grime. At Courtesy Care, we make sure everything is throughly cleaned. We utilize a high pressure hot water system to effectively clear away sticky grease residue. Our hot water system works better than a conventional cold water pressure washer at removing grease and buildup from kitchen hoods and vents.